Nick Chen is a Senior Associate on our Investment team. He’s responsible for performing deal origination and due diligence functions related to prospective investment. Nick works with our portfolio companies on corporate strategy, M&A and follow-on fundraising initiatives, and assists in audit and compensation committee activities such as creating compensation models. He also helps with the planning and coordination of portfolio workshops and assists portfolio company CFOs with budgeting and forecasting. Prior to joining Georgian, Nick worked as a business valuator at Compass Lexecon in New York, delivering economic analysis and damages assessments in complex international arbitration cases. He started his career in investment banking at Union Square Advisors in San Francisco, where he advised various networking/infrastructure software companies in strategic M&A engagements. Nick graduated from the Honors Business Administration (HBA) program at the Ivey Business School and holds a Certificate in Business French from the Paris Chamber of Commerce (CCIP). Nick is a music lover and budding audiophile, supporting independent artists and music technology projects weekly via Bandcamp and Kickstarter. He also built and sold an online independent radio channel/record label called Syzygy Records that reached over 100,000 subscribers. eSentire is the leader in active threat protection solutions and services, and is the most comprehensive way to defend enterprises from advanced and never-before-seen cyber threats. eSentire’s flagship offering, Network Interceptor, challenges legacy security approaches, combining behavior-based analytics, immediate mitigation and actionable intelligence on a 24x7x365 basis. Fiix Inc. creates easy-to-use, intelligent maintenance management software that empowers businesses to organize their maintenance departments and turn data into actionable insights. Its multi-tenant cloud-based CMMS mobilizes the maintenance workforce and interfaces with enterprise software to connect your entire organization—revolutionizing how thousands of companies worldwide schedule, organize, and track maintenance. Flashpoint delivers Business Risk Intelligence (BRI) to empower business units and functions across organizations to make better decisions and mitigate risk. The company’s unique deep & dark web data, expertise and technology enables customers to glean intelligence that informs risk and protects their ability to operate. 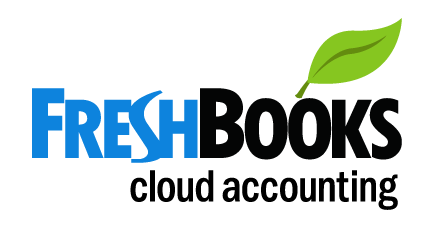 FreshBooks is the No. 1 cloud-based accounting solution designed exclusively for small service-based business owners. The company has helped more than 10 million users process billions of dollars through its easy-to-use invoicing, expense management and time tracking features. Based in Toronto, FreshBooks serves paying customers in 120 countries. Influitive, the advocate marketing experts, is based in Toronto with offices in Boston, Palo Alto and San Francisco. Today’s buyers are increasingly leveraging their peers’ opinions and Influitive helps marketers tap into this force with its innovative AdvocateHub platform and Maven mobile app. By capturing the enthusiasm of their best customers, followers and evangelists, marketers gain direct support for their sales and marketing programs. Stratifyd is a technology company providing end-to-end customer analytics to companies worldwide. Stratifyd’s platform is powered by AI and enables companies to efficiently tailor marketing efforts, increase customer retention, improve products and services, and boost revenue based on unstructured data. To learn more, visit www.stratifyd.com. Terapeak is the leading source for consumer and product insights, analyzing more than 4.6 billion transactions per year and over $70 billion in online consumer spending to provide insights to clients from entrepreneurs to Fortune 500 companies. Terapeak was acquired by eBay in December 2017. TrackTik’s integrated security operations management software is the industry’s only all-in-one platform offering security service companies complete control of every aspect of their business. TrackTik saves customers time and money by enabling them to access insight, streamline operations, and improve business development through easy-to-use mobile and web-based technology, customized implementation and technical support, and a personalized sales toolbox. TrackTik has become the No. 1 software for security experts by driving efficiency and growth through automation and accurate data. For details, visit www.tracktik.com. Vision Critical provides a cloud-based customer intelligence platform that allows companies to build engaged, secure communities of customers they can use continuously, across the enterprise, for ongoing, real-time feedback and insight. Designed for today’s always-on, social and mobile savvy customer, Vision Critical’s technology helps large, customer-centric enterprises discover what their customers want so they can deliver what they need.